His courage, resilience, bravery and dedication to the cause of the struggle for freedom is remembered today as some of the values needed by the youth to secure a bright future for themselves and the country. If we are to adopt the values of Solomon Kalushi Mahlangu, it means that we should know who he was through the preservation and of his legacy. His legacy is presented to the world in a form of heritage marked by where he lived – his home here in Mamelodi and other places where he left his footprints. We are here today to announce publicly that this house where Solomon Kalushi Mahlangu was born has been graded category 1 in accordance with the National Heritage Resources Act of 1999. This process has been successfully completed by our sister entity of the Department of arts and Culture – the South African Heritage Resources Agency (SAHRA). This means that the property was inspected and is intended to be declared as a National Heritage Site. It is now a protected space of heritage significance. From this point onwards, consultation processes will follow. We must use the liberation heritage to encourage understanding, nation building, economic development and inclusive citizenship. Resistance and Liberation Heritage reminds future generations not to repeat the mistakes of the past and to strive for a better Africa and a better world. While there were good efforts, we have come to realise that the essence of who he was is not adequately captured and documented for preservation and public consumption. It is also the case with other struggle veterans whose contribution or involvement is not documented. Recently, interest among the struggle heroes and heroines is rising. The intervention of the NHC is through making funds accessible to the public for historical research and publication. 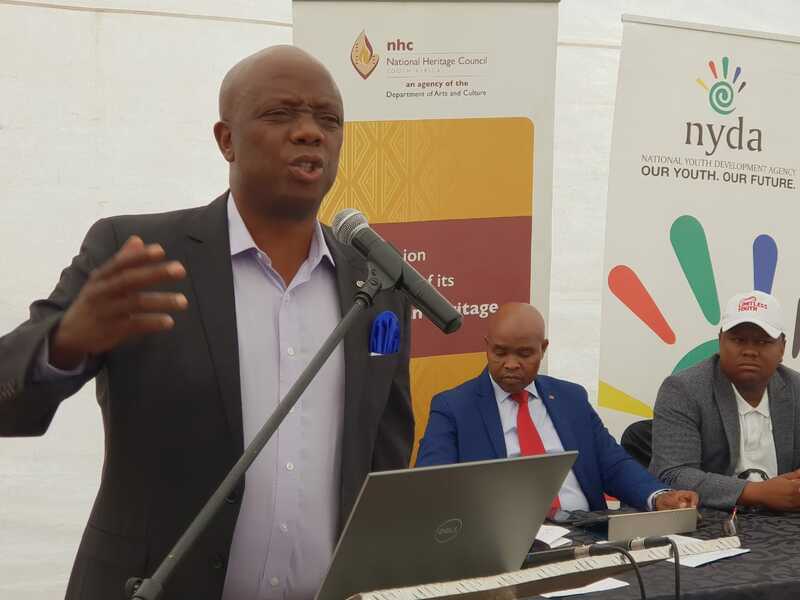 The National Heritage Council of South Africa will as part of its knowledge production strategic imperative embark on a research of Solomon Kalushi Mahlangu’s life and journey. We need to establish facts and dispel distortions. This will go a long way in guiding heritage practitioners on how his life should be curated in spaces of memory. To us going forward, the research around Kalushi need to be augmented and authenticated after the commemoration. For example, the information about what happened at the gallows, the cell that he operated in, the Landmarks that traces are life footprints. This will be an ongoing programme post the commemoration.